21st Century Dad - One Dad's Thoughts, Ideas, and Feelings. Today’s guest post is by Nisha Sharma. Nisha is an editor at FireSafetyStore.co.uk. She is a mother of one who loves to write, especially about parenting advice, baby products and family advice, because it’s always good to hear the point of view from someone with experience. Apartments differ from family homes because in apartment buildings you share essential spaces with the other tenants in the building. You do not have complete control over your surroundings in an apartment. On the plus side, you do not bear sole responsibility for the entire premises. In a city apartment building, many people have an interest in keeping the common areas, such as lobbies and laundry rooms safe. Protecting yourself while living in an apartment in the city should be an element of your daily routine. The steps you take to address your safety concerns are most effective when you do not let them interfere with the things you need and want to do while living in the city. The most important thing to remember is that there is no one-time fix to resolve all of your safety issues. Your safety depends on you staying alert, practicing common sense, like keeping fire extinguishers etc. and taking responsibility for the condition of your environment. Look around and take note of the people and things close to your apartment. Your goal is to be able to know when something is out of place. If something is out of place, it may indicate you are in danger. As an example, if there is a utility closet in your building that you pass on the way to your apartment; take note of whether the door is usually closed and locked. An unattended storage room or utility closet gives criminals a place to hide. Know the people who should be in your area so that you will be able to identify quickly those who should not be near you. You do not have to form deep friendships with your neighbours but you should be able to identify them by face. Ideally, you should exchange emergency contact information with a neighbour next door or across the hallway. If something happens to you, they can contact someone on your behalf. If something happens to your apartment while you are out, a neighbour will be able to reach you so that you can take action. Change the locks on your front door, if your lease allows. Hire a licensed locksmith to install the locks. Select the best quality lock that you can afford. Lock your door, even if you only expect that you will be away for only a few minutes, such as when you take out the garbage or go to the mailbox to pick up your mail. If you install a slam lock, you will know that the door is locked, even if you are in a rush or if your mind is elsewhere. Keep your door locked while you are in your apartment. In the common areas, do your part to keep yourself as well as your neighbors safe. Do not prop open security doors while you carry packages in from your car. Anyone can slip into the building undetected in the moments when you are away from the door. Do not hold doors open for people you do not recognize. It is prudent, not rude, to require all visitors and residents to follow established security procedures. If your apartment complex has an open structure, without a central security door, stay alert to recognize if a stranger is behaving suspiciously. As a single vegan guy with 50/50 custody of a child, I don’t have a huge grocery bill, but last month, I earned over 300 Fuel Points. I certainly didn’t spend $300 on groceries last month. How did I do it? Every $1 spent at Kroger earns you 1 fuel point and every 100 points earns a $0.10 per gallon discount at Kroger Fuel or participating Shell stations. 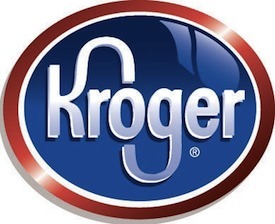 You earn double fuel points when you purchase gift cards at Kroger. The selection of gift cards available is extensive. You can buy gift cards for major retail outlets and restaurants. If I am planning to make a purchase at one of those retail outlets, I will buy a gift card in a denomination closest to what I will need to spend at that particular store. I buy a $15 Starbucks gift card for myself once a month. I figure that’s a reasonable amount of money to spend at Starbucks in one month. That’s 30 fuel points that I would not have earned if I just forked my cash over to the green mermaid. A friend helped me move last month, so I treated him to lunch at Ruby Tuesday. I picked up a $25 gift card and earned 50 fuel points. I went to Home Depot to buy plastic sheeting and staples for my staple gun to mitigate the energy-leeching effects of drafty single-pane glass windows in my apartment. Buying a $25 gift card prior to shopping at Home Depot earned another 50 fuel points. Panera Bread has some excellent vegan-friendly items, none of which is a plain baked potato and side salad. $25 is a reasonable amount to spend there over the course of two months. 50 more fuel points. Do you shop on Amazon.com? Amazon gift cards are available at Kroger too. My car takes just over 20 gallons to fill up. A $0.30 per gallon discount adds up to a whopping $6, but $6 is still $6 for very little effort on my part. Compare that to how much time and effort goes in to earning $6 on my paycheck after taxes. Don’t dismiss these small opportunities to save money. Several small wins like these (especially those that do not require much time and effort) go a long way. Several opportunities to save a few dollars every month adds up to a nice chunk of change at the end of the year. One thing to keep in mind is to avoid falling prey to the tactics used by such customer loyalty programs. Frugal Dad talks about you you might end up spending more than you save if you’re not careful. Today’s guest post is from Rebecca Jones. Rebecca is a blogger by profession. She loves writing on luxury and health. Beside this she is fond of automobiles. These days she is busy in writing an article on latest fashion tips. This is a great method of creating the right kind of appetite among your family members, especially among children. When your family members know that they all meet at particular time for dinner on a daily basis, they would certainly anticipate for such time. Similarly you can start the habit of family breakfast times, children who have their regular breakfast often do well in their schools. Having food at home regardless of what dish you want to eat is always a healthy option as compared to having at the restaurants. 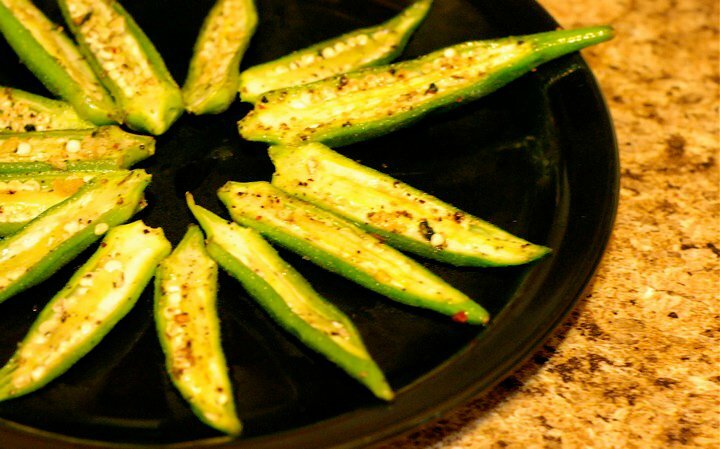 Hence being a homemaker or a responsible parent, you should make more and more dishes at home so that your family do not tempt to go out and have those unhealthy and junk food. Food at restaurants has more fat, salt, and sugar; hence it is better to avoid going out and prefer your home cooked dishes at home. Children love to get involved while going to grocery shopping, or choosing their lunch box menu, and love to help you during your dinner preparation, and so on. Take the advantage of these acts and make them learn about the different nutritional values of various dishes and items; and to kids who are old, ask them to read the food labels. Make sure you keep a wide range of fruits, whole grain snacks, vegetables, and other healthy beverages like pure fruit juice, milk, and so on in your place. Make them easily accessible to your kids so that they can find them own their own and try out freely and help them get into the habit of eating healthy things. Avoid keeping things, which are calorie free, for instance soda, cookies, chips, etc. Trying these simple steps can make you instill the habits of healthy eating among children rather than asking them to have healthy food in the name of bribes or rewards. The habit of healthy eating can promise good and healthy life not only for the adults, but also for children. Eating good and healthy is important and mandatory to get away from various ailments and disorders. Therefore, make sure you try hard to create a good bond between your child and all sorts of healthy and nutritional food. Lori Haskell of Knoxville, TN is the winner of our very first blog contest. A $100 gift card is now hers. I’m sure Lori is grateful, but I have plenty to be grateful for too. This contest could not be possible without all my readers – those who have been loyal since day one, those who just stopped by, and those who have fallen victim to information overload and have since moved on. Not even your Google Reader can help you stay on top of every awesome blog you’ve ever encountered. I’ve been a State Farm policy holder for quite some time now. My agent, Josh Ellis is great. If you need car insurance here in Knoxville, go see Josh! He didn’t ask me to say this. I want to make sure to thank Katie Hunckler of the Zócalo Group who connected with me to get the ball rolling with this.